The clethra is blooming now in Rhode Island. 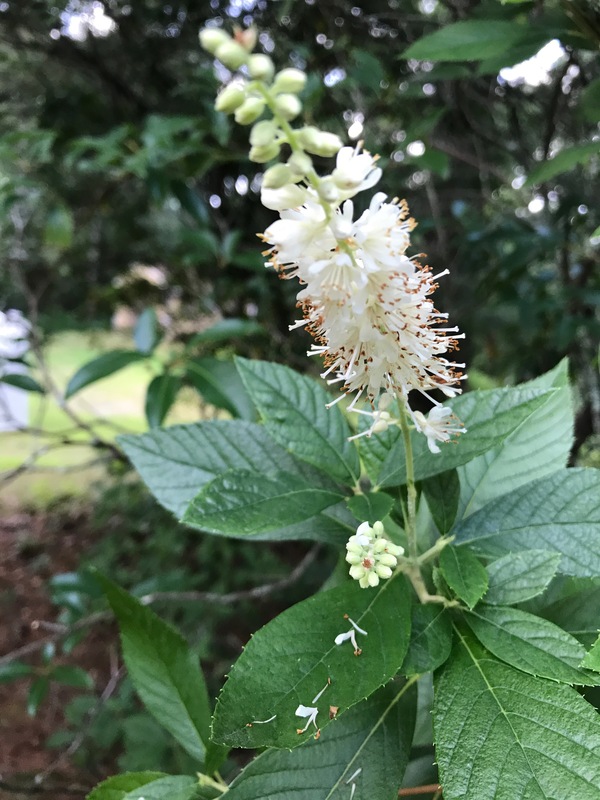 Commonly known as summersweet or spice bush, Clethra Alnifolia is a lovely native shrub that grows in sun or partial shade, in wooded and semi wooded areas. It is hardy in Zones 3 to 9 and prefers moist, slightly acid soil. 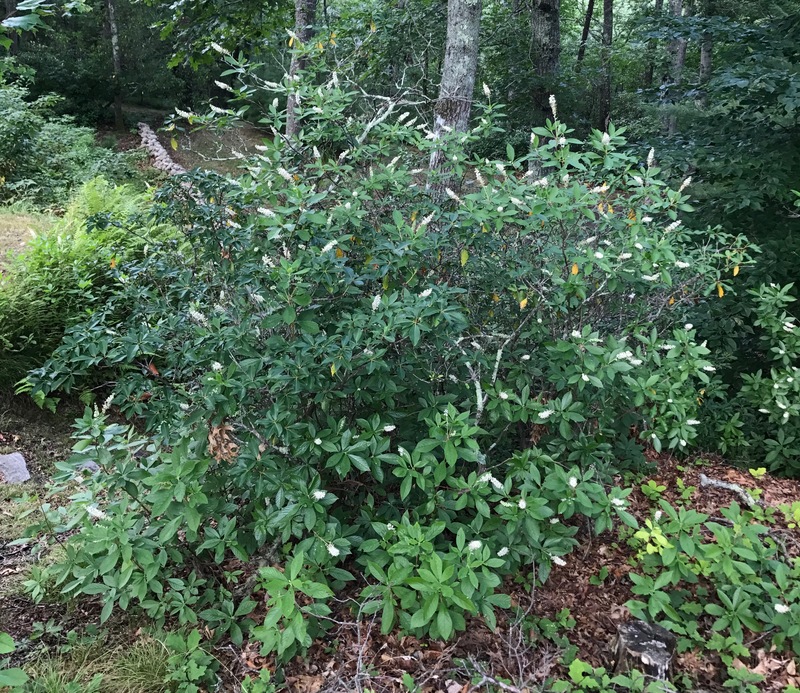 I have a great fondness for this shrub and for its wonderful fragrance in particular, so I was happy to see that it was growing on the property when we bought our house last summer. Just to make it even more appealing, it also attracts pollinators like hummingbirds and bees AND turns a lovely orange color in the fall. 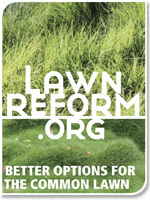 Here’s what the entire shrub looks like. I guess this one is about 15 feet tall. There are all kinds of tips online about when to prune clethra and how to care for it in general. My approach is to leave it the heck alone. 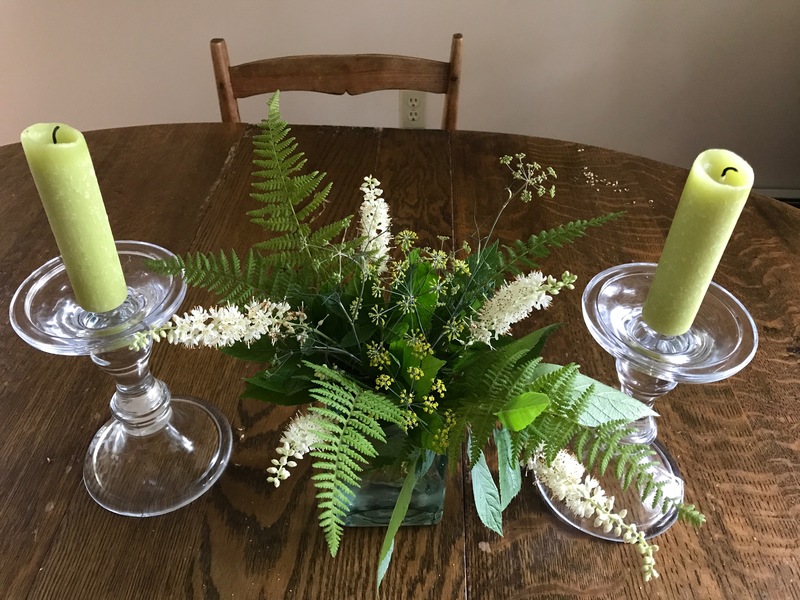 I brought a few stems inside recently, and added ferns and a couple of sprigs of fennel. Here’s the bouquet on my dining table. I love how it looks and the scent is fantastic. Thanks! It took minutes to put together. One of those happily natural combinations, I guess.